A day after saving five match points against Leonardo Mayer, Roger Federer had a much easier time getting past Roberto Bautista Agut. The Swiss maestro was sharp from the start, moving well and connecting on both wings, hitting 33 winners and 8 aces for the match. 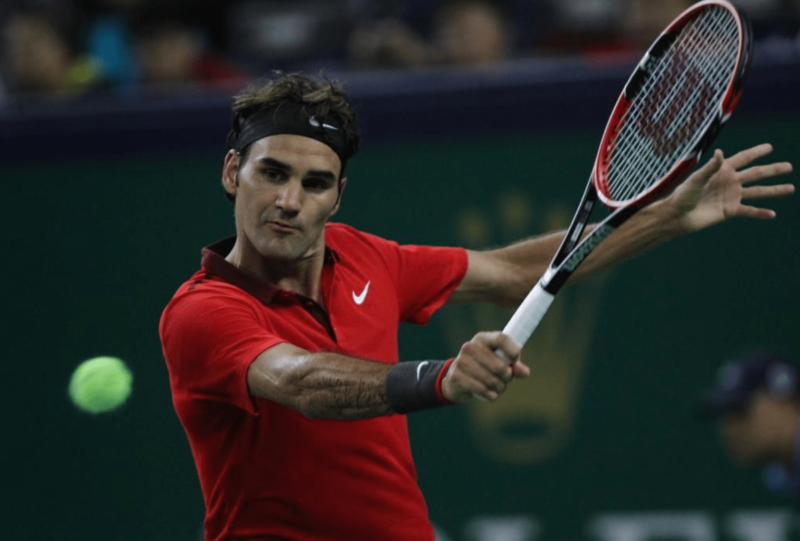 Federer struck with a late break in the first set and then cruised away from Bautista Agut, who had nothing to challenge the Swiss in the second set. A scintillating backhand winner down the line sent the crowd into a frenzy, and fired up the 17-time grand slam champion as well. After 1 hour 13 minutes, Federer moved on in the draw, 6-4 6-2. He will face Julien Benneteau in Friday’s quarterfinals (not before 8pm Shanghai/8am ET/5am PT).